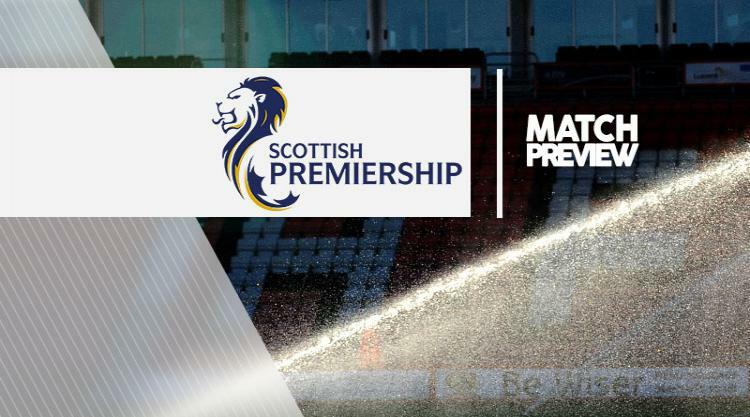 Hamilton V St Johnstone - view commentary, squad, and statistics of the game live. Forward Dougie Imrie believes struggling Hamilton face a pivotal week in their battle for Ladbrokes Premiership survival. Martin Canning's side are bottom of the table on goal difference following 4-0 defeats to Rangers and Hearts in their previous two matches before the international break. After the visit of fourth-placed St Johnstone on Saturday, Accies face a Lanarkshire derby against fellow strugglers Motherwell on Wednesday before finishing the week with a home game against bottom-six side Ross County. Imrie insists those three games will go a long way to influencing Hamilton's fate but is confident the players are ready. The 33-year-old attacker said: "They know the importance of what we have to do here to stay in the league. "We are all focused on that for the last nine games, albeit this week we have three games and that will be the pivotal point in the season. "You go and win some of those games you will have a chance, whereas if you don't it is going to be harder and harder. "Getting beat 4-0 at Hearts and 4-0 at Rangers isn't great. These teams have quality but the disappointing thing is that we didn't turn up in those games. "We competed earlier in the season but we haven't been at the races in the last few weeks. "But we have a chance to sort that in the three games coming up in the next week." Skipper Michael Devlin (calf), Alex D'Acol (ankle), Blair Adams (concussion) and Jesus Garcia Tena (knee) are all available for the game. Meanwhile, St Johnstone defender Richard Foster had almost given up on his hopes of tasting European action again. But now he is struggling to get thoughts of another continental adventure out of his mind. Saints have overtaken Hearts to claim fourth spot, which will be good enough for a Europa League slot so long as Hibernian do not go on to win the William Hill Scottish Cup. Foster has sampled big Champions League nights with Rangers and was also part of the Aberdeen side which made it to the last 32 of the UEFA Cup in 2008. But now he hopes the Saints side he joined last summer can take another step closer to qualification by seeing off Hamilton before welcoming rivals Hearts to Perth on Wednesday. He said: "You always want to play as high as possible and to win things. "But playing again in Europe wasn't something I'd spent too much time thinking about. "However, now that the opportunity is there it has re-ignited my passion to make it back into Europe and to sample these ties again. "It is something I am now thinking about a lot - but we're staying grounded and just taking each game as it comes. "I know it's a cliche but that's the approach we've taken every game this season. Hopefully if we can get the three points this Saturday it will set us up nicely for the midweek game with Hearts." Captain Steven Anderson (hamstring), goalkeeper Zander Clark (hip) and midfielder David Wotherspoon (thigh) will all be hoping to feature this weekend. However, striker Steven MacLean will not be risked on the plastic SuperSeal Stadium pitch, while Keith Watson has undergone surgery on his knee complaint.